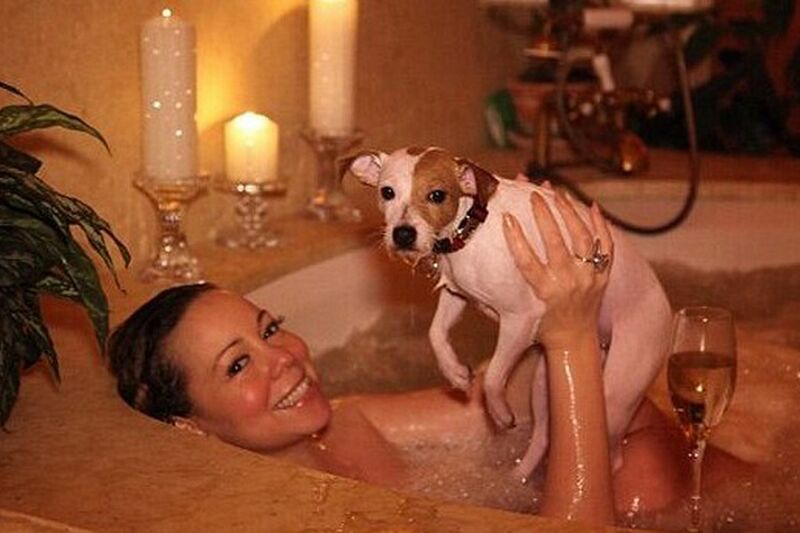 Mariah Carey has never made a secret of her love for dogs with ridiculous names: The Good Reverend Pow Jackson, Pipitty Jackson, Mutley P. Gore Jackson The Third, Jill E. Beans, Cha Cha, Jackie Lambchops, J.J. and Squeak E. Beans. The star with legendary whims never does things halfway when it comes to spoiling her four-legged friends. The singer who has sold 270 million albums spends no less than $28,000 per year for her dogs to be perfect and smell good. She once shocked passengers on a flight by reserving the entire first class for her dogs. A luxury groomer and driver are at their beck and call 24/7 to go on a tour whenever they feel like it of Carey’s favorite salon in Beverly Hills. Each month, her dogs also get a treatment in a specialized spas, with everything from haircuts, to shampoos, a blow-dry, Thai massage, wrinkle-reducing blueberry facial masks and manicures. Real Housewives, get out of here and make space! During her last visit to London, the diva booked a private charter flight for her canine companions. Pricetag: 118,000 euros ($125,600). Add to that another 18,000 euros for a stay at “The Paw Seasons” in Bristol. At their luxurious retreat, the dogs are washed, groomed, walked and sleep in their own bed. A chef prepares them individually tailored meals. Carey demands organic only. It’s no joke! On the set of her Christmas film “A Christmas Melody,” the production team neared a burnout due to the star’s eccentric demands. la production serait pas loin du burnout suite aux demandes excentriques de la star. Nick Cannon’s ex-wife demanded a humidifier in her dressing room… for her eight dogs! When you’re in love, money doesn’t count — a FancyOli motto.